Must do roads to ride in VA, WV, NC and TN! 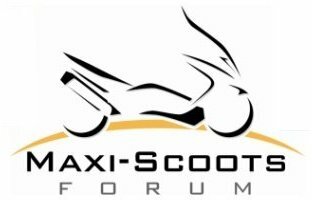 Maxi Scoots > Riding > Roads We MUST Ride (Moderators: Clampett, Virginian) > Must do roads to ride in VA, WV, NC and TN! Re: Must do roads to ride in VA, WV, NC and TN! Sorry Virginian but that trip still hasn't happened for me. I fully intend to report when and if I do get up there. Still nothing for me to report except that my Dayton friend nearly broke an ankle riding a HD he had just bought. Hasn't had a boot on his foot for 6 weeks now. Been a tough year for my Dayton friend. Finally was able to get a boot on so he goes for a ride on one of his many bikes, and hits a deer. Rather minor, didn't go down but thinks he broke his right thumb. Now he can't turn a throttle. Hope he and I can get together soon before the snow flies. Sorry everyone but I kind of forgot about this thread and my promise to check out Hwy. 72 in WV. My riding buddy and I did make it up there in Oct. for what should have been 4 days of exploring back roads. 2018 has been a lousy year for my buddy and I to ride together. We got one good day in and one day of riding in a light rain all day. Rest of our time was 100 % rain so we loaded up and headed home two days early. On our one good day of riding we did ride 72. Not bad but hardly worth going out of ones way very far to ride. 1 1/2 lanes of ok blacktop, but not a road I would want to test my riding skills on, guard rails just inches from the roadway and rock walls on the other side. We stayed in beautiful downtown Belington, right across the street from the only restaurant in town. Since our riding was shortened and we liked the area well enough we probably will schedule a return visit next year. No worries! We look forward to when you get around to it. As about normal for me, I am a little late to the party here. I've been on this forum for a few years I think and had not even once seen this section. I had a couple of sections I followed loosely but did not stray from those. I was missing out it seems. Who knew this was here? I haven't ridden on many of the roads mentioned but do know the areas fairly well and these suggestions are spot on. Great job of putting them all in one place Eric. I spend too much time tied to my desk at work but will be retiring soon to be able to ride to more places. I ride everyday and on weekends as much as possible but now I have some new ideas for places in the southeast.